Anna Maria Island is a barrier island along the Gulf Coast of Florida, approximately one hour from the Tampa Airport, and is a community with a rich history. The island is a destination enjoyed throughout the year by families from around the world who come to enjoy the beaches, atmosphere, and weather of Anna Maria Island. The following is a short summary of the history of Anna Maria Island and the three cities the collectively make up the island (Anna Maria, Holmes Beach, and Bradenton Beach). 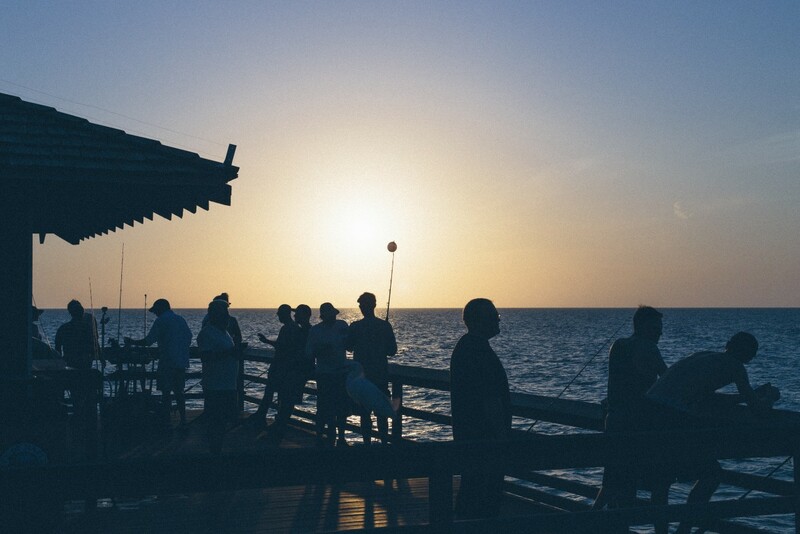 Despite the 7 mile length of the island, each community has its own distinct environment rooted in “Old Florida”. Anna Maria Island was first inhabited in 1893 by George Bean who settled with his family on the North Point of the island. This marked the starting point for development in the island. Shortly after, George Bean’s son, George “Will” Bean and Charles Roser began developing plans to build a resort. Charles Roser is rumored to have been the inventor of the Fig Newton which he sold to Nabisco. That transaction allowed him to partner with Will Bean in this venture to begin developing Anna Maria Island as a destination. In 1907, a man by the name of Jack Holmes arrived at the island while he worked on the construction of the East Coast Railroad from Miami to the Keys. This visit to the island by Jack Holmes would have a great impact on the island community we enjoy today. By 1911 the first brochures were created to promote the island as a resort city which now included a hotel, restaurant, bathhouse and freshwater artesian wells with “medicinal properties”. Transportation to the island at this time required two separate ferry rides, from Tampa this would take travelers approximately one day to complete. By 1922 the first bridge from the Cortez fishing village was built and in 1926 a bridge was constructed to connect Anna Maria to Long Boat Key. The bridge connecting Long Boat Key to Anna Maria was in place for approximately one month until a hurricane came through and took the bridge off from its piling’s and placed it in the bay. The Cortez bridge remained and continued to be the only bridge for more than 30 years. By 1934 Jack Holmes would return to Anna Maria Island to take permanent residence on the Island. In order to support his family, Jack would become one of the first property managers on the island by managing individual’s personal residences and collect rent payments during their absence. Jack Holmes would be taken away from the island for a short time during World War II. After World War II Jack Holmes purchased 350 acres of land for development with the vision of developing a beach community of two and three bedroom homes on a piece of land no smaller than a quarter acre. Through this restriction, they would limit the number of homes within the community to 2,000 homes. In 1950 the residents of the island voted to Incorporate Holmes Beach in Jack’s honor. By 1951, under the vision of Jack Holmes, Holmes Beach was one of the fastest growing beach communities with approximately 180 homes being constructed that year. The fast pace of the construction and development would continue through the 50’s and 60’s and included the development of marina and yacht club, strip mall and the Key Royale golf course. At the time, Holmes Beach also had their own airport which Jack helped to construct in the 1940’s. This airport was used by MGM film for the movie “On an Island with You” and was used subsequent for travelers. Prior to the development of Holmes Beach, the community had approximately 14 homes with very few residents, but by 1965 Holmes Beach would become the second largest municipality in Manatee County with approximately 3,000 residents. Today the community of Holmes Beach continues its history of development through the remodel of the original one and two bedroom homes or through the construction of new homes which meet current hurricane standards. Despite modern changes, the community continues to retain the “Old Florida” charm for all to enjoy along the white sandy beaches of Florida. The information provided above is a brief summary on the history of the Island which is based on information contained in two books available at the Anna Maria Island Historical Society. Or you can visit the museum on the Island and see all that Anna Maria Island has to offer!